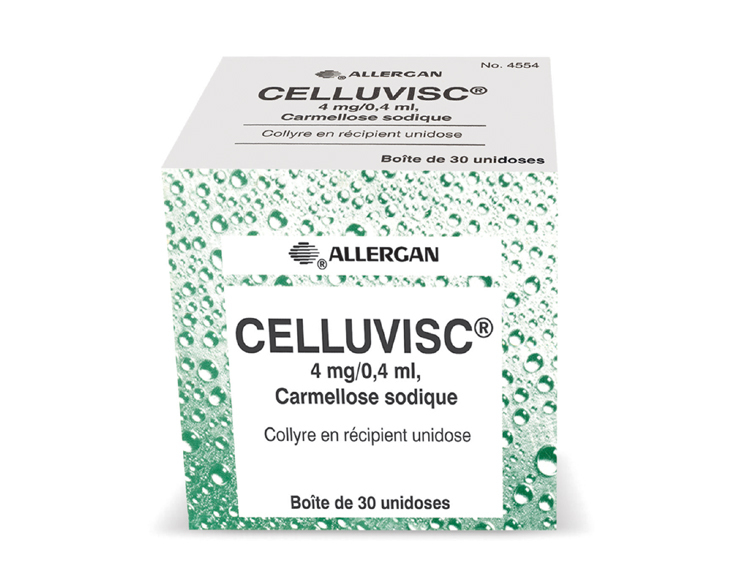 CELLUVISC® contains a lubricant called Carmellose sodium to treat the symptoms of dry eye. These may be soreness, burning, irritation or dryness. Follow these instructions unless your pharmacist or doctor gave you different advice.Gently squeeze 1 to 2 drops as required into the affected eye(s). One drop contains roughly 0.05m1 of Carmellose sodium. What CELLUVISC® does CELLUVISC® is a clear slightly yellow solution in a small, plastic and see-through (bubble-like) casing (known as a 'vial'). Each vial contains 0.4mL of solution and has a twist-off 'cap'. Each vial also has a plastic 'tab' telling you the name of the product on one side and the expiry/use by date on the other side. CELLUVISC® contains a lubricant called Carmellose sodium to treat the symptoms of dry eye. These may be soreness, burning, irritation or dryness.